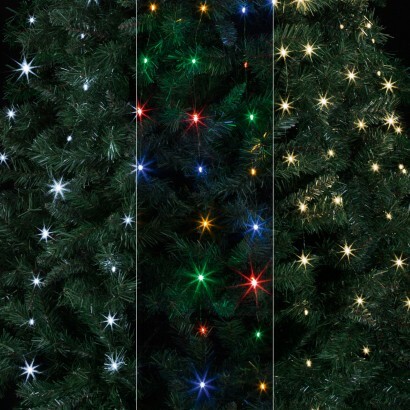 Dress your tree from the top down with microbright tree net lights that take the fuss out of fairy lighting. 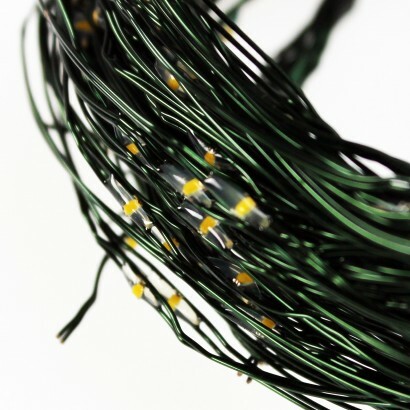 Ten light strings on green poseable wire are each lit with twenty LEDs to give even coverage around your tree, simply hang from the top of the tree and each light string can then be arranged around the tree for maximum impact. With 2m of illumination per light string you get a total of 200 LEDs giving your tree the ultimate wow factor! 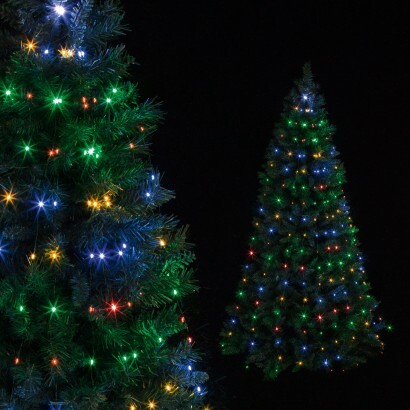 Available in multi coloured or warm white in static light, or in bright white with multi functions, these decorative tree lights are IP44 rated for outdoor use and have an automatic timer function with 8 hours on and 16 hours off so that they automatically switch on at the same time every night. I bought 2 sets of warm white lights for a 7ft tree and the coverage is amazing. Added bonus is that although product description and box say the lights are static they are actually multifunctional! 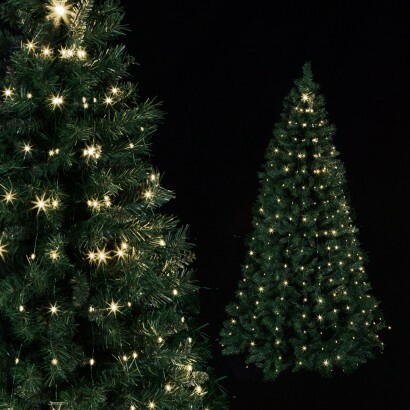 Was contemplating buying from John Lewis but I can’t fault these - they are excellent value for money and look amazing on my tree.